Joasou 'Marguerite' statement earrings are handcrafted from soutache braid and feature an intricate autorial circle-shaped design. Despite their significant size, the 'Marguerite' earrings are incredibly lightweight. 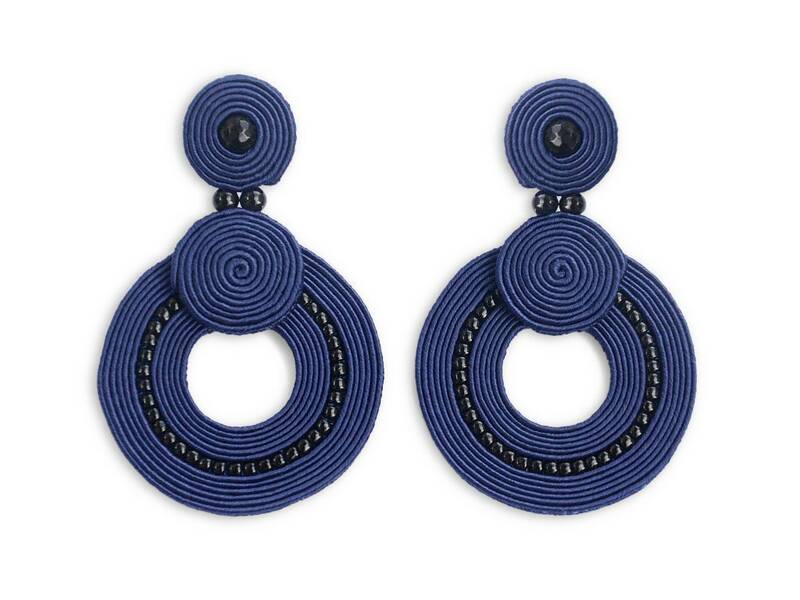 These unique clip-on earrings can be styled with a shoulder-baring evening wear.